Henshaw, James, head-of-household, age 35, born in England; parents born in England; immigrated 1893, naturalized 1916; owned home (mortgaged); occupation: agent, insurance. Henshaw, Annie, wife, age 35, born in England; parents born in England; immigrated 1893, naturalized 1916. Henshaw, Dorothy, daughter, age 10, born in Massachusetts; parents born in England; attended school. Henshaw, Walter, son, age 8, born in Massachusetts; parents born in England; attended school. 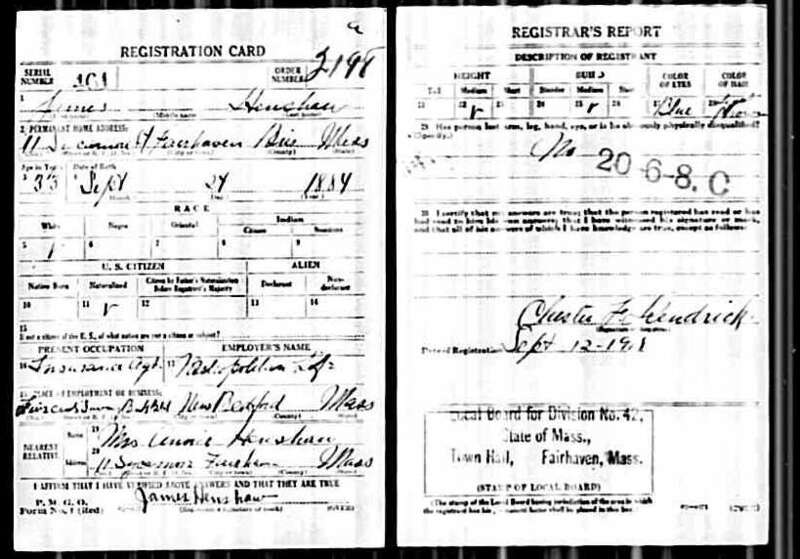 Henshaw, James, head-of-household, age 45, born in England; parents born in England; immigrated 1892, naturalized; first married at age 23; owned home ($3500 value); radio in home; occupation: broker, insurance; not a war veteran. Henshaw, Annie, wife, age 45, born in England; parents born in England; immigrated 1900, naturalized; first married at age 23. Henshaw, Dorothy M., daughter, age 20, born in Massachusetts; parents born in England; occupation: stenographer, [..unclear..] Co.
Henshaw, Walter, son, age 18, born in Massachusetts; parents born in England; attended school.